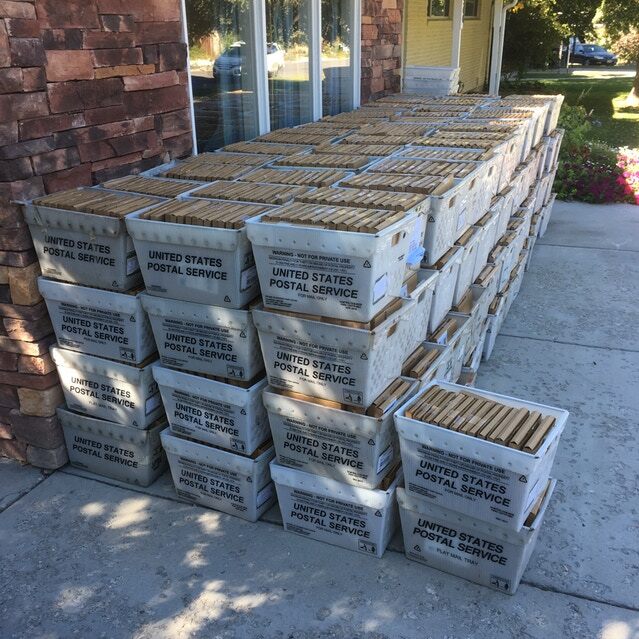 A picture of all the books going out from last September. I’ve been thinking about SkyHeart a lot lately. I’m currently writing out new chapters to be drawn and formulating a plan as to how I’ll be distributing it. First, though, I just wanted to touch base and thank everyone who believes in this project and has bought a book. Watching SkyHeart get made, printed, and shipped out has been one of the most stressful, but overall rewarding projects of my career. I'm really proud of SkyHeart and happy to have finished book I.
I wanted to talk a little bit about what I would do over, if I had a chance to do this again. The biggest mistake I made in this endeavor was launching a Kickstarter for a book that wasn't drawn yet. This caused a few problems. It meant that my delivery date was over a year away from the launch of the Kickstarter. A lot can happen in a year, and some major life events (health probs) interrupted production on this book which delayed the delivery for over a year. This put me under considerable stress as I didn't want to let down my backers, yet needed the time to make a finished product I was proud of. When it came down to whether the book should suffer or the Kickstarter timeline, I chose the latter. The vast majority of my backers have been so supportive of this entire project and that's what's kept me going through the end. A handful of them expressed concern over the delays, and I appreciated that too. They were the wolf at my door motivating me to work harder and faster. Over the next few years I'll be delivering this story in chapter installments on skyheartcomic.com. Every time I have enough chapters to make another volume, I'll launch a Kickstarter for that and get a book printed. I've put a lot of thought into this, and I think this is the best way for SkyHeart to be produced. This means that SkyHeart fans will find out what happens to Wake and friends much sooner, and it means a much shorter delivery schedule between Kickstarter launch and actual book shipment.